Anudeep Durishetty residents of Metpally of Jagityal District. He is son of Durishetty Manohar, an additional assistant engineer, and Durishetty Jyothy, a homemaker. The family currently resides in Adarsh Nagar of Metpally.Anudeep did his schooling in Sri Suryodaya High School and intermediate in Sri Chaitanya Junior College. He completed his BTech from BITS Pilani, Rajasthan, in Electronics and Instrumentation in 2011.He is a 2013-batch Indian Revenue Services officer, posted with the Customs and Central Excise. Anudeep was awarded the best officer trainee in the IRS batch during the weapons training programme at NISA Hyderabad. His interest lies in football and Artificial Intelligence. The top 25 candidates comprise of 17 men and 8 women. Educational qualification-wise the top 25 candidates are from Engineering; Sciences; Anthropology; Management; Law; Mathematics; Medical and Commerce background graduating from premier Institutions of country.Optional subjects of the top 25 candidates in the examination ranged from Anthropology, Commerce & Accountancy, Economics, Geography, Law, Maths, Physics, Political Science & International Relations, Sociology, and Malayalam Literature. 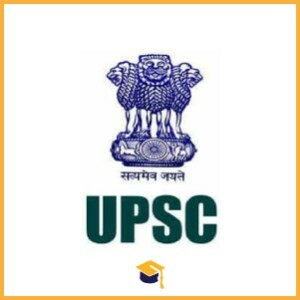 as many as 990 names were recommended for appointment to (i) Indian Administrative Service, Indian Foreign Service, Indian Police Service and Central Services, Group ‘A’ and Group ‘B’.The UPSC Main exam was conducted on October 28, 2017.The UPSC examination was held to recruit 980 posts of Indian nationals in Indian Administrative Service (IAS), Indian Foreign Service (IFS), Indian Police Service (IPS) and Central Services (Group A and Group B) and various other government departments. Out of 980 posts, 54 posts are reserved for reserved categories. The IAS PRE (CSAT) Exam was held on 18 June 2017.